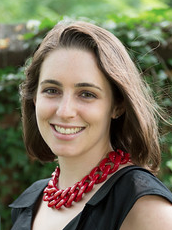 NA’AMAT USA is pleased to announce that Ms. Cara Rock-Singer of Ithaca, NY is the recipient of the Second NA’AMAT USA Research Fellowship in Honor of Elizabeth J. Raider. In addition, Dr. Tanya Zion-Waldoks of Beer-Sheva, Israel has been awarded an Honorable Mention. The 2017-18 theme of the fellowship program is “Jewish Women’s Contributions to Israeli Society.” The fellowship carries an honorarium of $2500. “The fellowship contest was highly competitive,” explained Dr. Mark A. Raider of the University of Cincinnati, who chairs the fellowship committee. The other committee members are Dr. Karla Goldman (University of Michigan), Dr. Daniel Greene (Northwestern University), Dr. Shirley Idelson (Independent Scholar), and Dr. Laura Levitt (Temple University). Ms. Rock-Singer is a PhD candidate at Columbia University in the Department of Religion; she is scheduled to defend her dissertation this winter. She is currently a Visiting Lecturer in Cornell University’s Department of Near Eastern Studies as well as its Department of Science and Technology Studies. Ms. Rock-Singer’s research examines how Jewish women’s bodily knowledge and practice shape the relationships among religion, science, secularism, and spirituality. She has an extensive background in science and religion. She earned a BA in molecular biology at Princeton University, a Master’s in theology at Oxford University, and studied at the Conservative Yeshiva in Jerusalem. Her PhD dissertation, “Prophetesses of the Body: American Jewish Feminism and The Politics of Embodied Knowledge,” explores how Jewish women negotiate their positions as religious and secular citizens of Jewish communities in the United States and Israel. With respect to the NA’AMAT USA Research Fellowship, Rock-Singer plans to expand on her work and produce an article about the impact of American-born scholar-activists on Israeli public discourse concerning women’s reproductive health and sexuality. Zion-Waldoks received an Honorable Mention for her work on the role Orthodox Jewish women activists in Israel. She is currently an Israel Institute Postdoctoral Fellow at Ben-Gurion University’s Ben-Gurion Research Institute for the Study of Israel and Zionism and a Teaching Fellow in Bar Ilan University’s Gender Studies Program. She will receive her award at NA’AMAT Israel’s annual student awards ceremony in the spring. Rock-Singer will give a public lecture about her research in early May 2018 in Chicago, IL. Details of the event, which is expected to coincide with the NA’AMAT USA national board meeting, are forthcoming.